No Single Supplements Remaining. This exclusive tour will SELL OUT! 1914-1918, was the ‘Great War’, the ‘war to end all wars’. In that conflict, the most important battleground was the ‘Western Front’ in France and Belgium where great battles were fought with names that were once household words in Australia — Fromelles, the Somme, Bullecourt, Messines, Passchendaele and Villers–Bretonneux. Of the more than 295,000 Australians who served in this theatre of war in the Australian Imperial Force (AIF), 46,000 lost their lives and 132,000 were wounded. Then at 11am on November 11, 1918 the guns fell silent on the Western Front and the First World War came to an end. It is the centenary of the end of the Great War which will be commemorated with this in depth battlefield tour in 2018. Our Western Front tour will enable you to attend the official Centenary Service at the Australian National Memorial, Villers-Bretonneux in France and the very moving Last Post ceremony at Menin Gate in Ieper, Belgium whilst also visiting the major sites where Australian soldiers saw battle in Flanders and the Somme areas, concluding with a stop at Compiegne, where the Armistice was signed on 11 November 1918. Due to the high interest from those wishing to attend the centenary commemoration, we are pleased to confirm that we will be offering two tour groups which will be escorted by our most experienced battlefield guides, Graeme Beveridge and Rod Margetts. Graeme has escorted our battlefield tours for many few years and worked at the Australian War Memorial for more than 11 years in Visitor Services, Education, Public Events, and finally as the Executive Officer. He also delivered public lectures in the Memorial’s galleries on a wide range of subjects covering the Australian experience in the war and most recently, a series of detailed lectures for AWM staff on Australian involvement on the Western Front during WWI. His position as Executive Officer involved extensive research and coordination on a wide range of subjects relating to the AWM’s role in Australian society including, of course, Australian military history. Graeme has a keen interest in military history generally and Australian involvement in particular. Originally a National Serviceman, Rod went on to serve for thirty-one years in the Royal Australian Infantry Corps, and later the Staff Corps, of the Regular Army. During this time he filled a variety of command, instructional and staff appointments. His broad military experience provided excellent opportunities to further develop a lifelong interest in military history which now retired, Rod’s interest is in helping others to understand and appreciate Australia’s rich military history. Both guides will present information about the background and specific events which occurred, in an interesting and entertaining way. They will personally introduce themselves to all tour member via email or telephone prior to departure, and invite you to advise them of any subject of particular interest, such as relatives who had fought (and sometimes died) during the conflict. They will then research the matter to ensure, where possible, that the tour visits the particular site and that detailed information on the actions are provided. With access to a vast array of documentation, maps, film and photographs from the archives at the Australian War Memorial to enhance your experience, we promise you a wonderful and memorable tour. The tour cost does not include airfares however Singapore Airlines is the preferred airline for our tours with their flights being the ones designated for the arrival and departure airport coach transfers included in the tour. Whilst we will have access to very competitive economy and business class fares with Singapore Airlines we are also able to assist with any airline preference you may have. We can also assist with any other travel arrangements you may require during your time in Europe in-conjunction with the tour. As per previous centenary commemorations throughout 2015, 2016 and 2017, the minister of Veteran Affairs has advised that those wishing to attend official overseas commemorations in 2018 must again register online for entry passes into the designated sites. Registration for the centenary of the First World War Armistice at the Australian National Memorial, Villers-Bretonneux is now open, which is offered free of charge by the utilising a first in, first serve approach. Tickets are available on the DVA Commemoration website. We can certainly guarantee that our battlefield tours will far exceed any of your expectations. Our tour leaders and historians always receive rave reviews when they lead our tours, and it’s important to know that you really are travelling with the best of the best Australian battlefield guides. 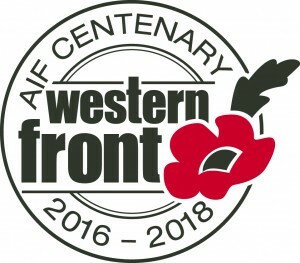 If you are looking for a meaningful way to commemorate the centenary of the End of the Great War, then there is no better way to mark the end of hostilities which decimated the area from 1916 to 1918 than by treading in the footsteps of our ANZACs on the battlefields of France and Belgium. Please Note: Itinerary subject to change according to prevailing circumstances. 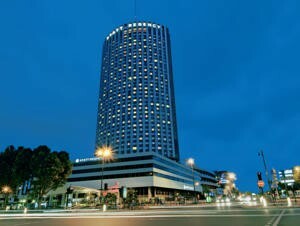 The Hyatt Regency Paris Étoile stands as one of the best hotels in Paris. 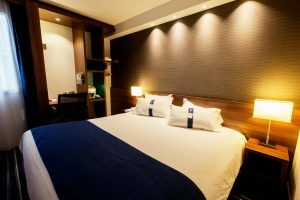 The 4 star hotel is located just minutes from both the Arc de Triomphe and the world-famous Champs Élysees, and within easy reach of the impressive La Defénse complex. Aside from its great location in this cosmopolitan city, the hotel offers truly unique views over Paris, especially of the Eiffel Tower. Novotel Centrum Flanders Fields is a 3-star city centre Ypres hotel, a stone’s throw from Ypres Market Square and In Flanders Fields Museum. You’ll also be within 5 minutes of Cloth Hall and Menin Gate Memorial. The hotel has a restaurant and free WiFi along with an elevator (lift). There is also a bar/lounge where guests can enjoy drinks, plus there is a fitness centre and steam room for guests to take advantage of also. 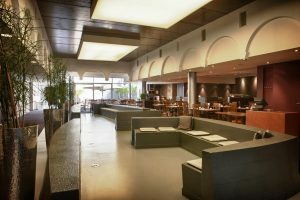 The Holiday Inn Express Amiens is a charming 3-star hotel set in a prime location in the centre of Amiens. Local tourist attractions such as Musee de l’Hotel de Berny, Jules Verne House and Amiens Cathedral are not far from the hotel. Also within easy reach is City Centre Amiens. Room facilities include climate control, coffee/tea maker, fax machine and in-room safe. In-room entertainment options include satellite television service. Guests will appreciate complimentary wireless high-speed Internet access. “Working through Boronia Travel provided a proven platform to leverage off. They were professional at all stages and provided a tour package and guide well matched for the demographic. The itinerary was flexible and was negotiated each day by the tour manager and OIC, and provided participants a balanced experience”. Our customers depend on us to provide a once in a lifetime battlefield experience combined with exceptional customer service. Visit our page full of client testimonials.